Poland summons up nightmare images for many Jews; the very word evokes the tragedies of Auschwitz-Birkenau and the Warsaw Ghetto. The latter receives long overdue, and nearly exhaustive treatment in The Warsaw Ghetto: A Guide to the Perished City (Yale, July), by two Warsaw-based historians, Barbara Engelking and Jacek Leociak. Given the extent and intensity of Jewish suffering on Polish soil in the mid-20th century, no wonder that many Jews associate the country with tsuris or that in Maus, Art Spiegelman represents Poles as pigs, the very trayfest of the trayf. Yet recall that Jews lived in Poland for an entire millennium, and Jewish culture of various sorts often flourished there. For one example, Alex Storozynski relates, in The Peasant Prince: Thaddeus Kosciuszko and the Age of Revolution (St. Martin’s/Dunne, May), how Berek Joselewicz organized the first modern all-Jewish military unit in 1794 at the behest of Kosciuszko, a Polish veteran of the American revolution, to fight for Poland’s independence and for the rights of the weak and downtrodden. Kosciuszko originally fled to America as a young man after his courtship of an aristocratic girl earned him her father’s disdain. “Pigeons are not meant for sparrows,” the displeased lord opined, explaining his refusal. Is it just coincidence that Brigid Pasulka’s A Long, Long Time Ago & Essentially True (Houghton Mifflin Harcourt, August)—a Jonathan Safran Foer-esque debut novel of 20th-century Polish life—features a protagonist called ”the Pigeon,“ who, in Kosciuszko-like fashion, joins the Resistance in World War II and defends Jews, including his sister-in-law? Perhaps Spiegelman should have represented righteous, Jew-saving Poles as Columbidae in his Holocaust comic. Gertruda Bablinska, one such virtuous Polish Catholic, served as the nanny of a wealthy Jewish toddler during the Holocaust. When the boy’s father emigrated and his mother suffered a stroke, Bablinska promised to transport her young charge to Palestine; they sailed on the SS Exodus. Ram Oren, author of Israel’s most popular potboilers, spun their story into a 2008 Hebrew bestseller, now translated as Gertruda’s Oath: A Child, A Promise, and a Heroic Escape During World War II (Doubleday Religious, August). The boy Bablinska saved, Michael Stolowitzky, is now a 72-year-old New Yorker who has served as President and CEO of the American Tourism Society, which promotes the “understanding and acceptance between cultures” produced by vacation travel. Better that, certainly, than the career path chosen by Max Eisenhardt, a fictional Auschwitz survivor whose ability to manipulate magnetic fields earns him the alias Magneto. 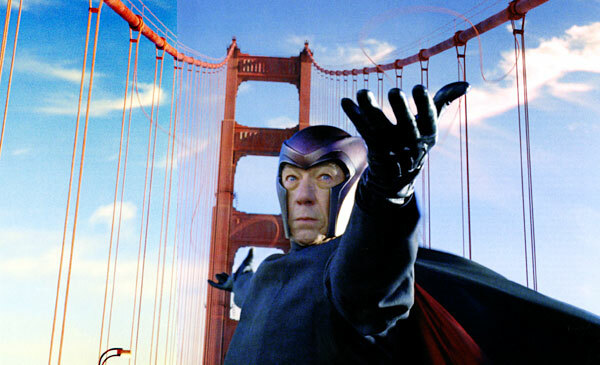 The archnemesis of the X-Men, a team of comic book superheroes, and the antagonist in their blockbuster film series, Magneto also stars in X-Men: Magneto Testament (Marvel, June), a graphic novel that compiles a 5-part miniseries by Greg Pak and Carmine Di Giandomenico, that details the villain’s childhood experiences during the Holocaust. How a survivor responds to his traumas likewise drives British music critic Norman Lebrecht’s second novel, The Game of Opposites (Pantheon, July). Having escaped a labor camp during the war, and then elected mayor of a nearby town, how should Paul Miller respond to the reappearance of the camp commander? Like Magneto’s embrace of violently pro-mutant politics, Paul’s dilemma can be read as a parable for psychological concerns—revenge, forget, or forgive?—always pressing in the real world. One of the healthiest responses to trauma is to tell one’s story, and few Holocaust survivors have been as prolific in doing so as Elie Wiesel. His most recent publication, Rashi (from Tablet sibling Nextbook Press), is a reflective monograph on one extraordinary exemplar of the Jewish textual tradition. The release conveniently coincides with the publication of the final volume in Maggie Anton’s Rashi’s Daughters trilogy, Rachel (Plume, August). Since 2005, Anton has been applying her zeal for Talmudic learning, and for historical research about everyday life in medieval France, to fiction. Dramatizing the historically obscure experiences of Rashi’s three children, Anton’s trilogy vivifies his life and times, and, together, Anton’s and Wiesel’s books testify to Rashi’s continuing relevance. As far as textual meetings-of-the-minds between modern Jewish thinkers and medieval ones go, Wiesel on Rashi sets a high bar. One comparably bracing encounter can be found in Abraham Joshua Heschel’s Maimonides (B&N Rediscovers, June), originally published in German in 1935—an early precursor to several recent biographies of Maimonides, including Sherwin Nuland’s contribution to the Nextbook series. Heschel—an insightful scholar, sensitive poet, and pioneering Civil Rights advocate—notes that “it was not the codifier and ‘guide’ Maimonides but the commentator Rashi who became the shaper, teacher, and educator of his people.” Yet the achievements of Maimonides still astonish every bit as much as Rashi’s. In addition to his commentaries on the Mishnah, for instance, Maimonides published numerous treatises in Arabic that powerfully influenced the development of medieval medicine, offering advice on healthy living and quick cures for scorpion bites. One such treatise, On Poisons and the Protection against Lethal Drugs (BYU, July) has recently been republished in a multilingual, critical edition edited by Gerrit Bos of the University of Cologne, continuing the series that began with the 2001 publication of On Asthma. Similarly detailed editions of Maimonides’ writings on hemorrhoids and coitus, as well as several volumes of medical aphorisms, can be expected in coming years. Lizzie Skurnick, veteran blogger and author of ten novels for teenagers, does not see herself as following in the footsteps of Rashi or Maimonides. Instead, Farah Fawcett provided a model for Skurnick, or at least for her hairstyle around the time of her bat mitzvah. But in parsing the nuances and resonances of classic young adult novels—including a few Jewish essentials, such as Judy Blume’s Are You There, God? It’s Me, Margaret and Starring Sally J. Freedman as Herself, Bette Green’s Summer of My German Soldier, and Sydney Taylor’s All-of-a-Kind Family—Skurnick’s Shelf Discovery: The Teen Classics We Never Stopped Reading (Avon A, July) accomplishes for the preteen literary set more or less what Rashi provided for the Jews’ sacred texts, and a reading guide for a different, but no less perplexed, demographic. You’re the best, I was doing a google search and your site came up for short sales in Longwood, FL but anyway, I have had a pleasant time reading it, keep it up! Its like you read my mind! You appear to know a lot about this, like you wrote the ebook in it or something. I feel that you just can do with a few % to force the message house a bit, however other than that, this is excellent blog. A great read. I will definitely be back.